The patient, a 65-year-old man, has begun to notice two things: He’s gaining weight and, a little more troubling, there is a buildup of fluid in his leg. It doesn’t seem alarming enough to him to merit a visit to the emergency room or the cost of seeing his doctor, but as time passes he finds himself increasingly short of breath when walking. Still, he doesn’t feel the need to take serious action. Then one night, he wakes up and realizes he’s more short of breath than he’s ever felt before. Frightened, he calls 911, and an ambulance races him to the hospital. There, in the intensive care unit, he is diagnosed with congestive heart failure (CHF). Once stabilized, he is sent home with a list of prescriptions. Three weeks later, he wakes up short of breath again, and the process repeats itself. This case is unfortunately typical, and it doesn’t have to be. If this patient’s care had been managed by a more proactive, integrated, coordinated delivery system, the crisis that led him to the hospital and the CHF itself might have been avoided. New technologies and a new approach to health care are combining to create a paradigm shift in America’s health care system. Particularly when applied to chronic conditions and to an aging population that is growing rapidly as the baby boomer generation retires, it’s a shift that couldn’t have come at a better time. Such a shift begins at the center of care, with physicians. Though doctors across the country bear much of the cost and responsibility for improving patient care, many of them are not in a position to influence the structure and approach of their organizations. To many health care experts, that simply doesn’t make sense. Information is at the heart of that relationship. 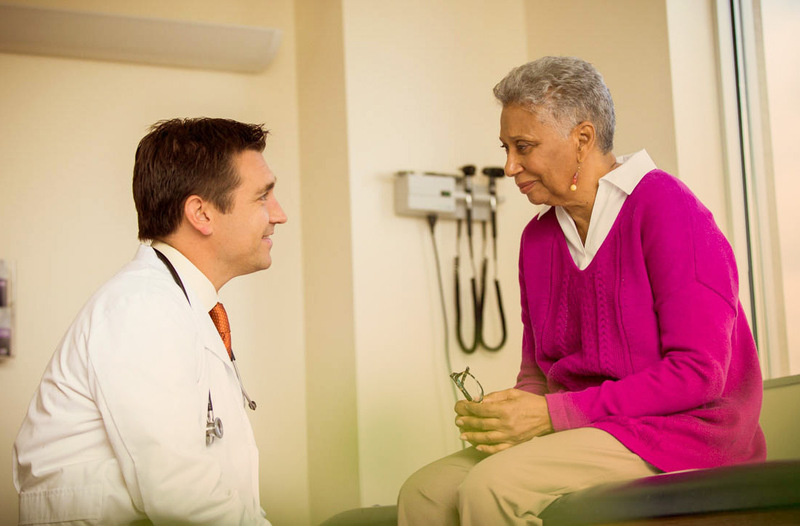 To truly establish a connection and partnership with their patients, physicians need to know what they need—ideally without asking them the same questions over and over each time they come to a doctor’s office. According to a survey conducted by the California HealthCare Foundation, about 40 percent of physicians reported that patients experienced problems because care wasn’t well coordinated among providers and sites. A doctor needs to have access to a patient’s history and information: not only their health conditions, but also updates from their specialists, urgent-care team, and wellness advisors. Providers are increasingly applying technology and new thinking to the health care process that allows for central, up-to-date access to all that information and the time to help patients navigate the health care system. Close integration among the many different channels of a modern health care delivery system is reliant on an electronic medical record (EMR) that aggregates input from multiple providers and incorporates the kind of high-level data analysis that can deliver insights about the health of communities and wider populations. “You can do the best work but, at the end, not reach all your patients—not because of reimbursement, not because it’s not good technology, not because of coverage, but because of [lack of] health care systems connectivity,” one Medtech executive told Deloitte in a report on medical innovation. "You can do the best work but, at the end, not reach all your patients—not because of reimbursement, not because it’s not good technology, not because of coverage, but because of [lack of] health care systems connectivity." Medtech executive in a report on medical innovation. Consider, for example, a region where 175 people have been diagnosed with diabetes, 50 of whom remain uncontrolled based on recent blood testing. Sophisticated, population-focused data analysis might then be able to predict that, left unaddressed, 10 of these patients have a 90 percent chance of being admitted to the hospital in the next 90 days. The electronic system could then automatically notify the patients’ primary-care physician of this possibility, pull those patients in for appointments with their doctors, and ultimately prevent some of those hospitalizations. The more a network like this expands, the more powerful those population-level data analytics become, and providers clearly see the opportunity: A survey in 2013 found that 66 percent of health systems planned to improve their population-health strategies through data analytics. What is motivating this change in approach? One driver is 2010 Affordable Care Act, which has brought more than 16 million Americans into the U.S. health care system. Many health care providers, however, still operate on a system that generates revenue on a per-visit basis. Known in the industry as the “fee-for-service” model, this is one of the main reasons health care costs in America are as high as they are: It’s a system that rewards the volume of individual visits, procedures, and tests over quality of health outcomes. This results in what OptumCare executive vice president Jack Larsen describes as an “episodic, reactive, transactional model” in which patients are continually readmitted to the hospital. By shifting some of the financial responsibility from insurance companies and government programs onto the shoulders of a better, more integrated, more informed delivery system, forward-thinking health care providers are moving toward a “fee-for-value” service,” which means getting patients to the right care at the right time and place, empowering patients with the education and data to make informed choices, and engaging with patients to track the value of treatments over time. In value-based care, revenue is generated by “hitting quality standards and showing better outcomes for your particular procedure than others in your marketplace,” says Larsen. In other words, the incentives set up by the modern health care business model are designed to align with the best interest of patients and their communities. It’s still a new approach, far from being the standard model of the U.S. health care system, but early results from those who have been using it are promising: Though it’s too early for most of systems to offer statistical proof that a coordinated care approach is an improvement, most report better outcomes, fewer ER visits, lower costs, and more satisfied patients. Many American health care professionals agree that the fee-for-service system is broken, the result of an economic model that incentivizes quantity over quality, failure to implement technology and process that facilitate information-sharing, and a system that does not take advantage of the experience of those who make it run: the physicians.